Unlike much of the world that is waiting for January 1st to essentially start over, we know that every day that Yah blesses us with the breath of life is an opportunity for a do-over. There’s no need to wait as if a certain date is magically going to make you do right, get fit, start a business, study more or do whatever it is that you’ve been putting off. We trust in YAH and nothing or no one else. If there is something that you want, take it to YAH, put in the work, have faith and in His time for you, those things will come to fruition. We have a guide in the law that our Elohim provided for us and in that, we craft our life to serve Yah first and pursue a living that encompasses those things that please him, helps us to make a living as well as makes us happy by touching on our talents and skills. If there’s something you’re not doing that you want to do, then ask yourself why aren’t you doing it? We hold our own selves back, so if that’s you – pop your own hand! Bad You! Time waits for no one and it’s not promised so this emphasizes the reason why there’s no reason to wait. Wait for what? Do it now! Now if you have been waiting for someone to give you a push. STOP! Waiting for someone to give you an opportunity wastes valuable time and is uncertain. Instead, create your own opportunity. 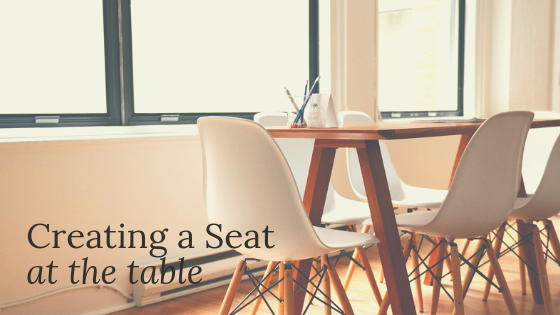 Create your own seat at the table that you want to sit at. For whatever it is that you’re pursuing, do your research and figure out what needs to happen. The library is one of my favorite places and there’s tons of information there. We are also in an age of technology, which is a gift and a curse. Use it to your advantage and put 1+1 together and get your 2! There is no reason for you to be or feel stuck and not know what direction to take. Put yourself in front of those that may be able to assist, but don’t wait for a handout – extend your hand – ask questions – put in the work – have faith – be patient and most importantly, take it to Yah in prayer. Every day that you wake up be sure to say thank you to YAH, we take that for granted. When you look at where you’re at, think of the goals that you’ve set for your life. Then do what’s needed to get where you’d like to be. Your aspirations in life require Yah + works + faith… not a magical 1st day of the year that the world acknowledges, which really isn’t the 1st day of the year (but I digress). Next Did You Do Your Assignment? This is very motivating! Thank you for sharing!